Get more than RM1,000 cashback a year on all your daily spends and receive exclusive deals with Standard Chartered JustOne Platinum MasterCard® Credit Card. The Standard Chartered Visa Platinum Credit Card accelerates your rewards with 5,000 bonus points monthly and 5x points for dining, departmental stores and overseas spends. 1. The Standard Chartered Bank Malaysia Berhad (“the Bank”) ZALORA Offers are open to cardholders of any credit/ debit card (other than corporate cards) issued by the Bank (“SCBMB Card”) and who have maintained all their accounts with the Bank in good standing, without any breach of the terms and conditions or agreements, throughout the Offer Period (“Eligible Cardholders”). 2. Offer period commences on 1 April 2018 and ends on 31 December 2019, inclusive of both dates. 4. 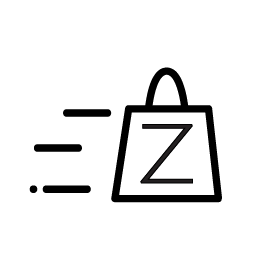 Eligible Cardholders who input the Promo Code SC2019 and make payment with SCBMB Cards are eligible for 15% off the purchase amount with a minimum spend of RM120 in local currency per purchase on www.zalora.com.my/sc2019 (“Selected Website”). 12. The Offers are applicable to the purchase amount only (excluding local taxes, service fees and additional charges). 13. To enjoy the Offers, purchases must be made on the Selected Website and not on any other websites, any third party or intermediary. 14. The Offers cannot be used in conjunction with other promotional offers, unless otherwise specified. 15. Only one Promo Code may be used at a time. 16. The Promo Code may be used on www.zalora.com.my/scmy only and must be entered upon checkout to be effective. 17. The Promo Code is only applicable to items sold by ZALORA. 18. The Promo Code does not apply for certain excluded brands as set out at www.zalora.com/faq-non-sale/. 19. The Terms of Service set out at www.zalora.com/terms-of-service/ shall apply to all uses of the Promo Code. 20. By using the Promo Code, Eligible Cardholders understand and accept that the Bank is not the supplier of the products/services supplied by the merchant under or in connection with the Offer. The Bank shall bear no liability relating to any aspect of the products/services, including without limitation, their quality, the supply, the descriptions of goods and/or services provided by the merchant, any false trade description, misrepresentation, mis-statement, omission, unauthorized representation, unfair trade practices, Promo Code redemption or conduct in connection with the promotion of the Offer or in making available the Offer or the products and/or services under the Offer, by the merchant, its employees, officers or agents. 21. By using the Promo Code, Eligible Cardholders understand that ZALORA is the provider of the Offer. 22. The Bank and/or ZALORA reserve the right to amend the terms and conditions of the Offer without prior notice. In case of dispute, the decision of the Bank and ZALORA shall be final. 23. Additional restrictions, ZALORA’s Promo Code standard terms and conditions apply. Please refer to the ZALORA website www.zalora.com.my/sc2018 for further terms and conditions.